Happy Tuesday! I’m writing this post to you from in bed on Sunday and hopefully by Tuesday I’m much better. It’s so true that mom’s don’t pay attention to how they feel. I’d had allergies since Mother’s Day, but honestly that’s nothing new to me. I’ve had 2 sinus surgeries and 3 years of allergy shots with every natural remedy under the sun tested. After waking up with a fever, running to the doctor and finding I had a sinus infection and upper respiratory infection I realized, “Oh yeah…I guess I really haven’t been feeling so hot.” Paul was so nice and decided to take the night shift with Maxi on Saturday and Sunday night so I could sleep. [Best gift ever!] Each morning he looked at me and said, “Okay, your job is really hard. Like I knew it was hard but wow…” LOL! My husband is talented at a LOT of things, but he doesn’t do well with little sleep. 😉 And what mama doesn’t mind a little praise when she is feeling under the weather?! So enough about our bed-ridden Memorial Day Weekend, how was your holiday?! I hope you got to spend the day with family as we remembered those who gave so much to us. 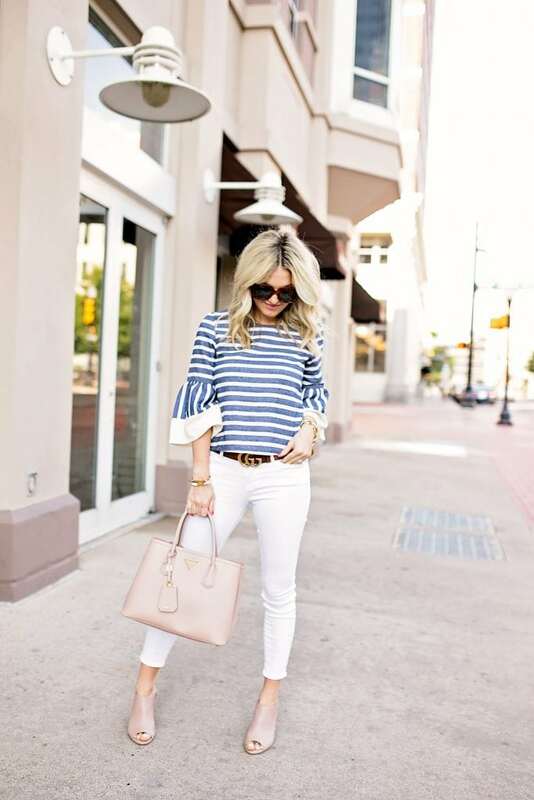 This look is really simple, but something about it feels very fresh for summer! I’m all for red nails and white and blue accents with fun sleeves. 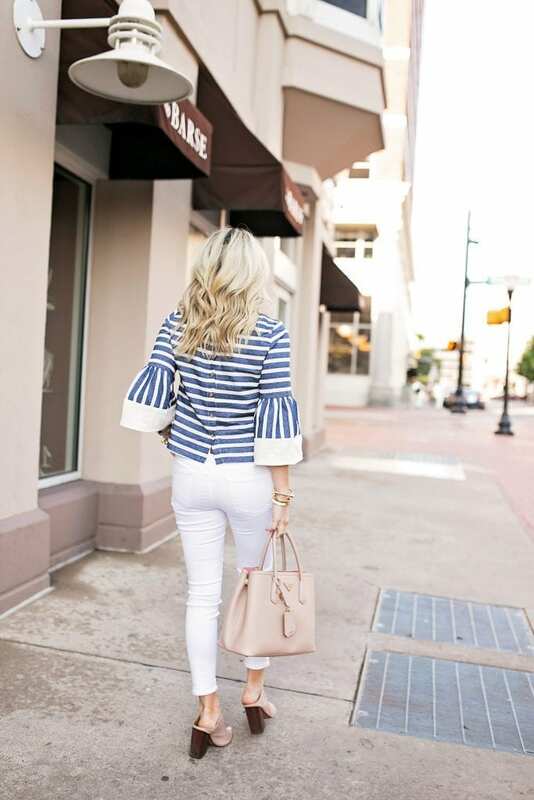 This top is selling out quickly, but I found another affordable option so you can recreate this look as well. Today my new COF team member starts and I’m so excited to introduce her to you all. Check Snapchat to meet her later today! She’ll be helping me with some administrative tasks so I can spend more of my time on content planning. Thanks so much for reading, I hope you have a great start to your week! 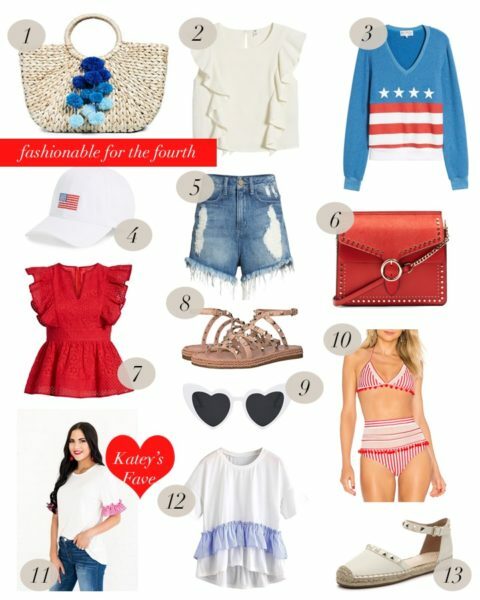 Love this subtle way of adding red, white and blue to your outfit. Perfectly dressed for a special day indeed! 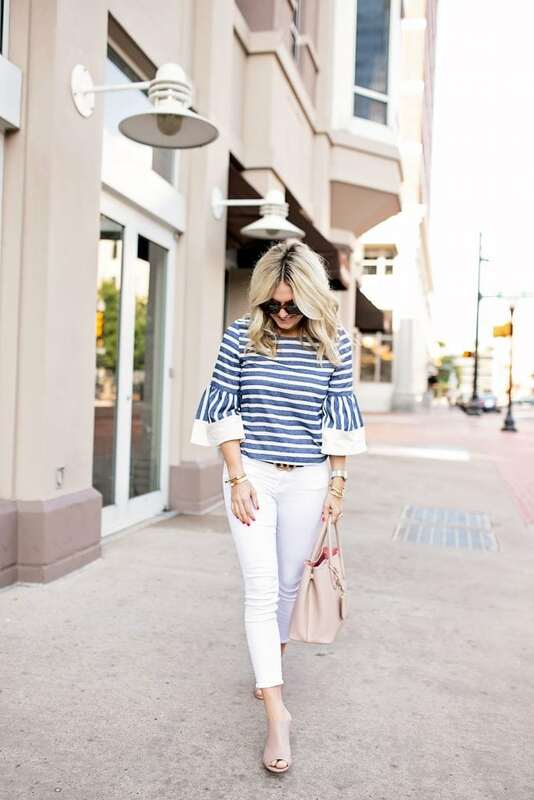 I love this top, especially with white jeans! Obsessed with you and this look! Would you consider doing a post on how you clean your jewelry!? Random, I know, i wear my constantly and feel like it never sparkles like it should!!!! Here is a post on how I clean my jewelry! I hope you’re feeling better! I’ve had two sinus surgeries as well. I had an allergy attack over the weekend and had to take benadryl, which is scary with an almost three month old because that stuff knocks me out. Isn’t it great having husbands that help out?! :) Super cute outfit! And can’t wait to meet your new team member. Hope you are feeling better! I, too, was sick this weekend. The weather wasn’t that great for us so I didn’t miss much. Such a cute top! I love the bottons down the back. Love that your bag and shoes match so perfectly! 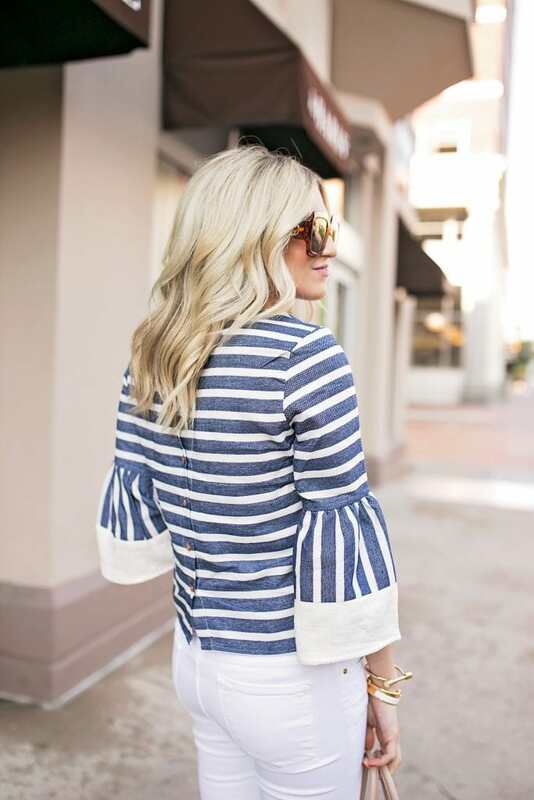 The details on this top are so cute. Great styling!